يقع فندق Kings Ohakune Hotel، المصمم ليناسب كل الضيوف سواء كانوا من رجال الأعمال أو السياح، في مكان ممتاز في أحد أكثر المناطق تفضيلاً في هذه المنطقة. يقع الفندق على بعد 2.5 km من مركز المدينة، ويؤمن الوصول إلى أهم مراكز المدينة. إن سهولة الوصول من الفندق إلى المعالم السياحية الشهيرة الكثيرة في المدينة هو استثنائي بحد ذاته. استمتع بالخدمات الراقية والضيافة التي لا مثيل لها بهذا الفندق في هذه المدينة رائعة الجمال. يمكن للنزلاء الاستمتاع بالميزات التالية: مرافق مخصصة لذوي الاحتياجات الخاصة, واي فاي في المناطق العامة, صف السيارات, مطعم, بار أثناء إقامتهم في هذا المكان الرائع. ادخل إلى واحدة من الغرف 41 وتخلص من عناء نهار طويل بمساعدة مجموعة كبيرة من الخدمات كمثل تلفزيون بشاشة مسطحة, سجاد, قهوة فورية مجانية, شاي مجاني, بياضات الموجودة في بعض الغرف. إن حوض استحمام ساخن هو المكان الأمثل في الفندق للاسترخاء وتفريغ طاقتك بعد نهار طويل. اكتشف مزيجاً ساحراً من الخدمة الاحترافية والخيارات الواسعة من وسائل الراحة والمتعة في Kings Ohakune Hotel. Stayed here for three nights while doing a bit of skiing on Mt Ruapehu. Accommodation in a triple room was pretty basic, but clean and overall a good budget choice if you prefer to spend your money on the skiiing. Beds a bit squishy. Simple breakfast included in room price. The wifi unfortunately was non-existent in our room (which was at the very edge of the hotel site) so we had to go into the bar to use it, which was a bit annoying. Also, it struck me that you do need a car if staying there (luckily we had one), as Kings is located a good mile or two from the main shops, ski rental places etc of Ohakune. However, the bus up to the slopes does stop near the hotel, and Kings is actually closer to the slopes than the main township is, so you get that extra 10 minutes in bed! Room was small but very warm and clean. The location was also good. It was closed to town and turoa ski field. Friendly stuff at the reception and enjoyed breakfast at the cafe. Very satisfied. We had a comfortable stay here. If you are in to staying up late and having fun then this is a great place for that with a bar right on the premises. Music on Saturday night was quite loud, but if you were happy to party then it would be fine. The other guests were very quiet. The room was very warm, great drying room facilities and handy to a great place called The Suitcase (2 minutes walk away). We didn't dine at Kings but imagine it is probably quite good. We arrived in Ohakune past 8pm and we had no trouble looking for the hotel. Because the hotel does not have a 24 hr reception, the reception was already closed when we finally got there. However, there was a very clear instruction on the reception door on what to do for a late check in. The instruction directed us to the hotel's restaurant where we were warmly greeted by a friendly staff and checked us in- no fuss. The room was not that big but it was clean and had basic amenities.Hotel's restaurant/bar was really handy for some drinks after coming back from Mt Turoa and getting stuck up there for 4 hrs due to bad weather/blizzard. I Can't comment on the food because we only had drinks. 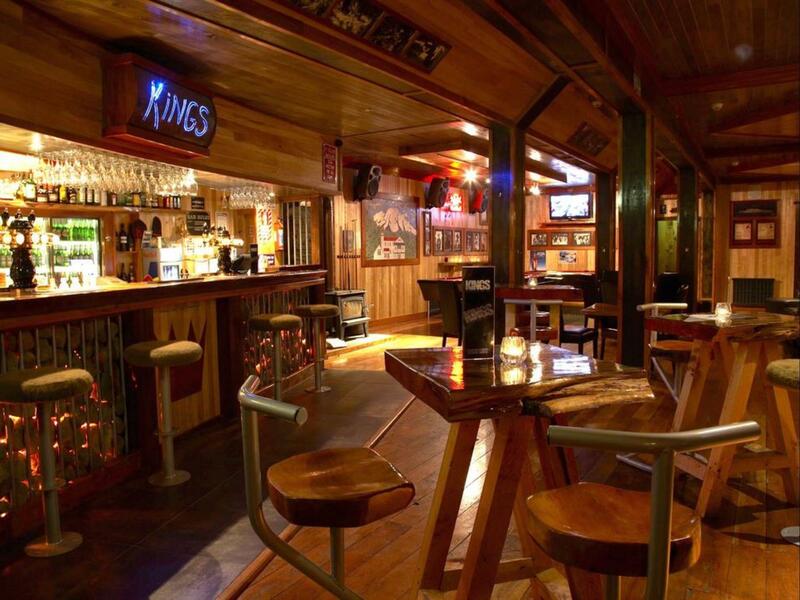 The restaurant/bar is tastefully decorated and well presented, w/ friendly staff. All in all, it was a pretty reasonable stay. The hotel had a very clean facilities, staff was extremely helpful and friendly, breakfast although basic was a big bonus that it was provided , food at the bar /restaurant was fantastic. The stay was fantastic. Although this is basic accomodation, it was clean which is a top priority, comfortable and very warm and cosy. We stayed at Kings for a weekend while skiing. The accommodation was clean and comfortable. Really close to bars and restaurants. The breakfast in the morning was simple and very welcome. There is great parking. The bar is nice although does tend to close early. Will definitely be back. I have got allergy after the first night, I think the pillow or liner are not cleaned, had this problem once in the past this is the second time it happened. Maybe the toilet can be cleaned daily, we stayed here for two nights and it wasnt cleaned. the bar and restaurant is the highlight of the aged yet charming hotel. friendly atmosphere, large tv screens for watching the all blacks!. another hightlight were the hawkes bay beers on tap. excellent boutique beer from the norm. good pub meals. the room itself was very small yet refurbished. took a long time for hot water to flow to the shower. however, it's an old hotel, no real problem, just wait. breakfast is very simple. minimalist and in contrast to the friendly and welcoming bar staff, the breakfast staff was oblivious to morning customers. serving breakfast was an imposition. however, on the whole, an ok stay. 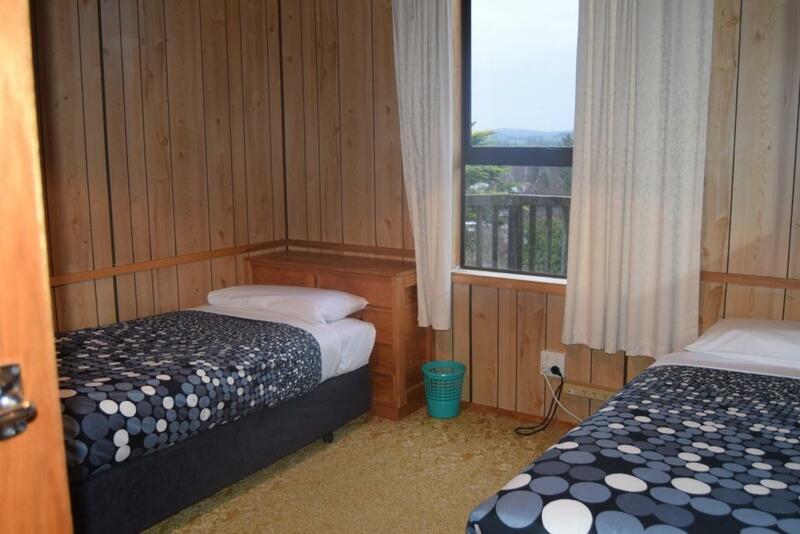 A good budget option, clean, warm , helpful, walls very thin so conversations were "shared"
My wife and I stayed at Kings for a week with our two infant children and were very pleased with the room and the service. Tracy and her staff were very friendly, and went out of their way to keep us comfortable during our stay. They even had toys available for our son to play with while we ate in the restaurant. The room was comfortable, very warm, modern shower and cosy bedding. 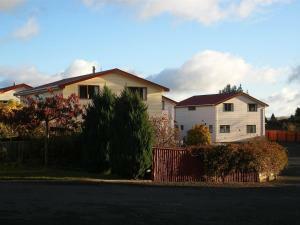 This is a good place to stay close to Turoa - the road up the mountain is only two streets away. Thanks for taking care of us Tracy! we had a problem on our first night as their boiler was broken so making a hellof a noise outside our room. they had no problems with changing our room and gave us free drinks at the bar. servuce was great, very friendly, clean and tidy. only problem was the room was verry small!! Hotel tres convivial a proximité des pistes, et du village d'ohakune. situé dans un quartier vivant mais tranquille. Tres bien pour les vacances ski. Chambre pas tres grande mais confortable.